i hope this one is not so wrinkled. The last one was almost unusable and the one before had to be replaced because the plastic stuck together and ripped. In case I need minimal coverage and to show off the wood table beneath it. Have been using this on my table because the table top is stone and collects food particles easily. This table cover allows me to enjoy my table and makes cleanup easy. To be able to see the wood tabletop and so it doesn’t shift. Protect my table top from spills. This is difficult to find any place else. I purchased this for my breakfast room table to keep stains off the wood and tile. It fit so nice on our dinning table easy to keep clean. It fits perfectly and lets the beautiful table show while still protecting it. I am hoping it will fit perfectly on my Black Glass Dinning Table. Been looking for something to cover the table but did not want to hide the top. We don't have these shapes for table but would like to protect and see wood design.. I expect that it will not lay flat and will cause more trouble than it saves and we will throw it away. I had bought these a couple of times over the years. They are good quality and last long. Clever with the elastic around them. Have one already, starting to tear. Love it, leaves table natural. Protection on wood table. Accidents do happen, with the clear vinyl cover no problems. Needed this item. But i have a problem with your mailing fees. Handling and shipping is a bit much. Makes me not want to order anything else. Excellent protection for my cloth and vinyl tablecloths. 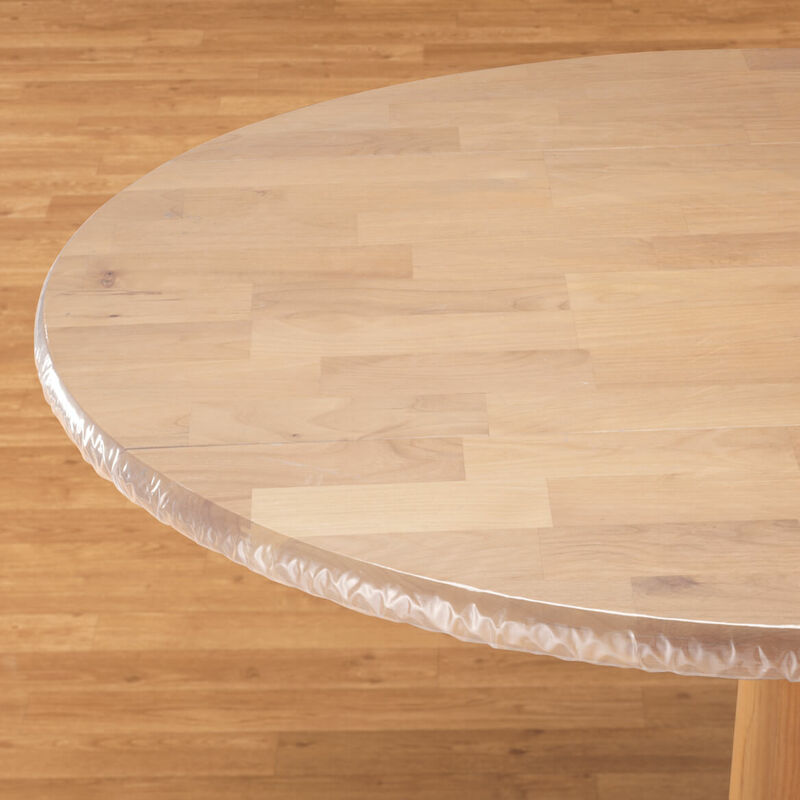 I was looking for a tableclorh with elastic, and I found it on your website. I needed to protect an outdoor solar light on a table from the rain. IT WAS TIME FOR ANOTHER ONE. ITS THE FIRST TIME I AM USING A CLEAR ONE TO SHOW OFF MY LOVELY TABLE. I've purchased this item before and loved it. I like it. I’m buying a spare. Have same one I previously purchased from MK and like. Just wanted to know the guage on the clear vinyl fitted tablecloth?? BEST ANSWER: Thank you for your question. This table cover is 4 gauge. We hope this information will be of help to you. How do you get all the wrinkles out of the clear tablecloth???? It will look really nice once I get the wrinkles out. From my experience, after a day or two from putting the clear tablecloth on, the wrinkles go away. I always have one of these on my table to protect it. However, be careful not to use too much force when moving trivets as it will create a hole. It's been on there since before Christmas. I even took a blow dryer to it to try to get some of them out. I didn't get them out. My table is glass so it didn't bother me, but when I bought a second clear plastic, I bought one that was not fitted. You can use a blow dryer set on warm, to smooth out wrinkles once it is placed on the table. can I use the 42x68 on my 30x50 table ? BEST ANSWER: Thank you for your question. The cover will fit but you will have lots of extra material under the table and will not have a tight fit. We hope this information will be of help to you. Do you have this in a round size 70 inch ? Will this fit a 40 X 40 square table? BEST ANSWER: Thank you for your question. 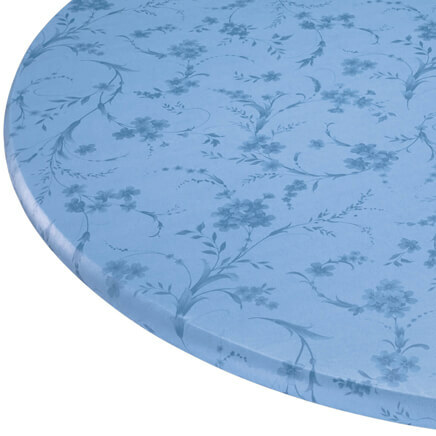 The clear vinyl elasticized table covers are designed for round tables not square tables. We hope this information will be of help to you. Understood that but, thinking a bigger round cloth would fit a square table. Though maybe you had one you could try? I want it clear as to see the color of the table through it. 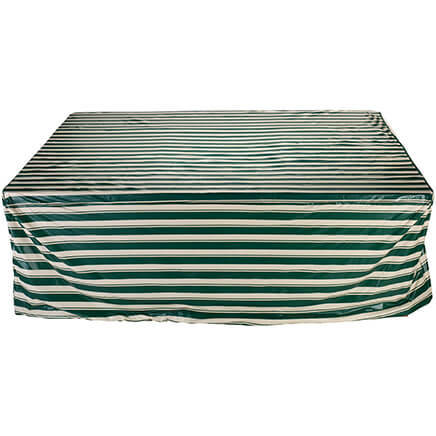 Is this a thick, durable cover or very thin? 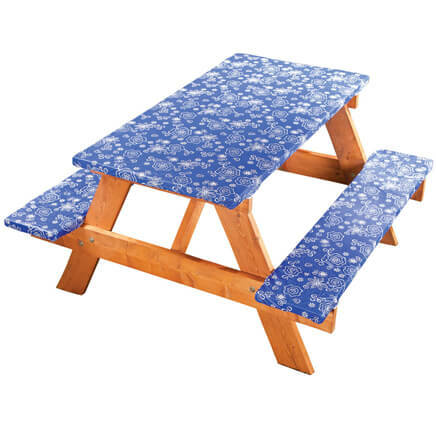 It is not too tick,but it is durable.I got 2 grand children ages 7 and 8.And this plastic table cover saved my table clothes and withstood their activities,during meals! Thank you for your question. The cover is a 4 gauge. We hope this information will be of help to you. It is durable. I used it in my breakfast nook protecting my glass table. I was very pleased. What company is this made by? Does this cover come in size 70 inch round? 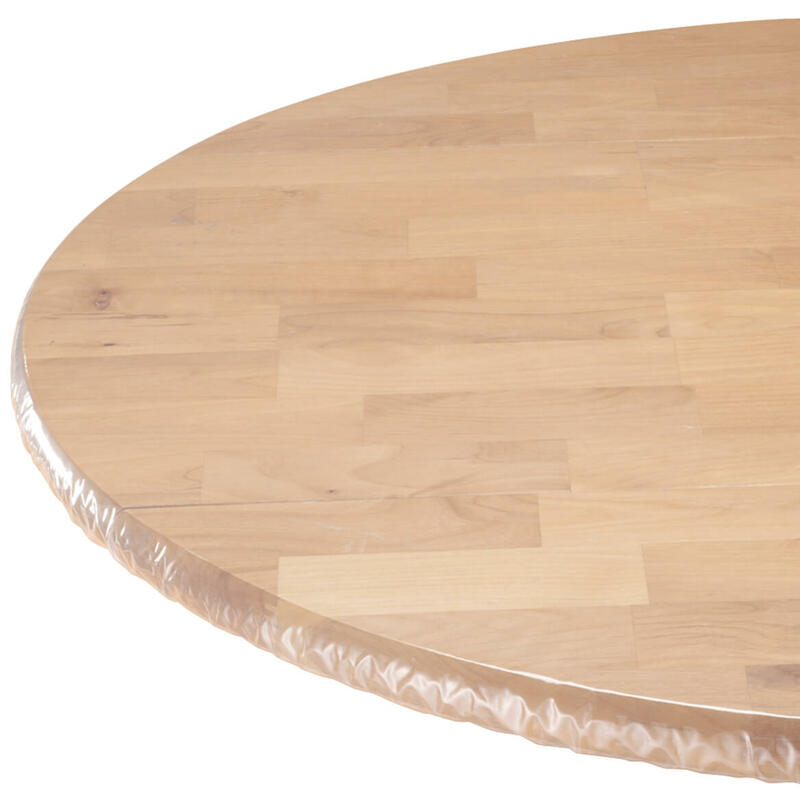 What size would you get for a oval table 42x56 inches? BEST ANSWER: Thank you for your question. The 42x68 should fit, the extra material will just bunch under the table. We hope this information will be of help to you. My table is exactly 45 in round. Is it elastic around the edge of tablecloth? It is adjustable to make it tighter so it doesn't hang down if I order the large size?? BEST ANSWER: Thank you for your question. I would order the 45-56 table cover. We hope this information will be of help to you. Does this have a strong smell or a California 65 warning? 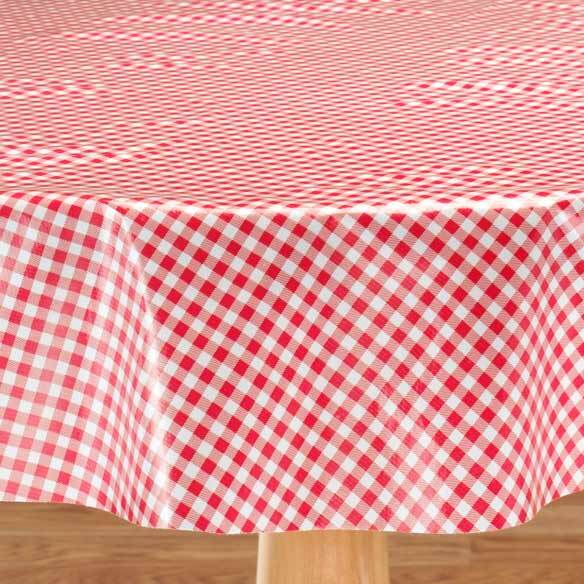 Will this tablecloth stick to the table? for 76" wide rectangular table? BEST ANSWER: Thank you for your question. Unfortunately, this item has sold out. 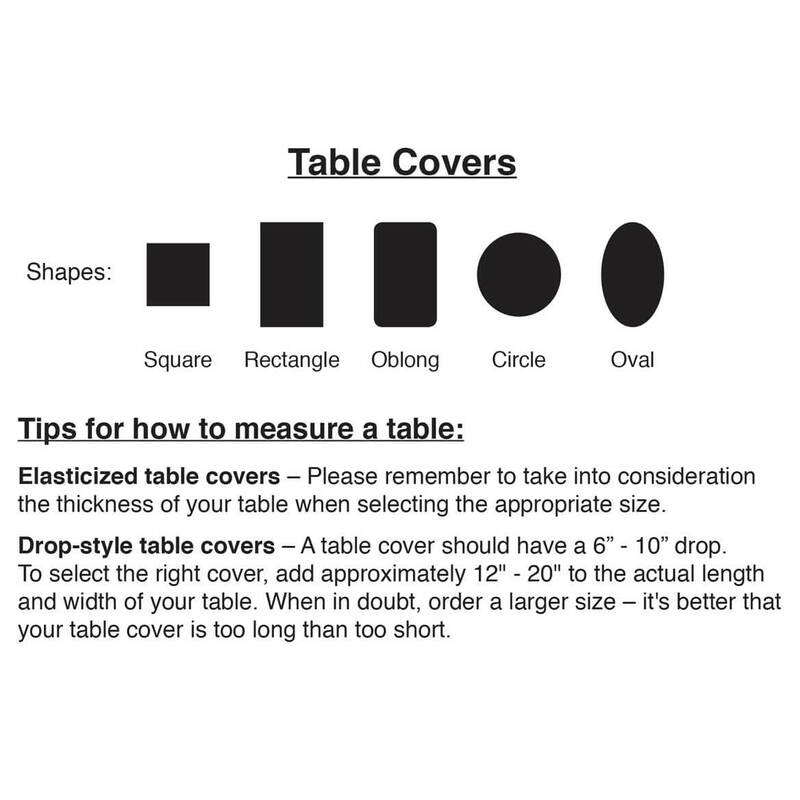 We do not know where you can find a tabl ecover in the size you nee. We hope this information will be of help to you. 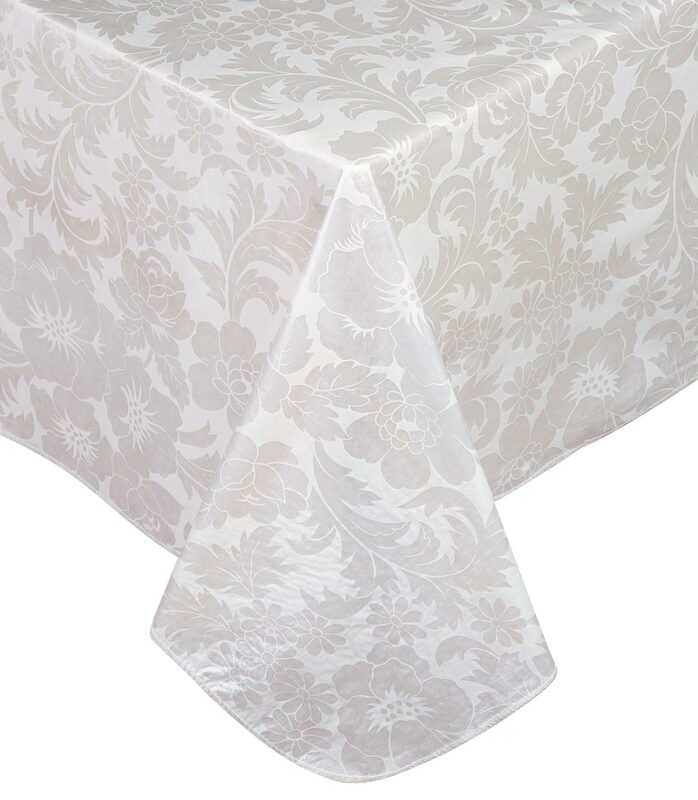 what are the actual measurements of the table cloth?